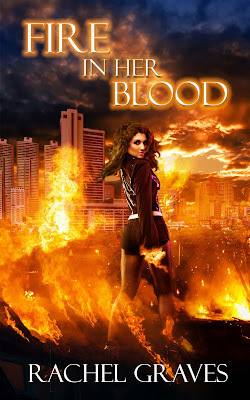 But the fire witches in the city seem to be losing their power – except for the Fire Mage she has to work with who seems connected to her boyfriend Jakob – who Mallory has to work with despite the awkwardness. Throw in some lethal vampire politics, friend issues and Jakob being determined to buy Mallory a car and she’s got a lot on her plate. This book had many of the elements of the last book Iloved – especially the detective work. We have the twist, we have the distraction, we have the chasing down of various leads, coming up with theories, discounting them, coming back to them, then not finding evidence and having to go back to the drawing board. And having more than one case! Even if they are related. How many police shows/books/etc have the character get to focus all of their attention on one case like there’s absolutely nothing else on their case load? I do really love the idea that you can build all of these super elaborate theories about a criminal’s motives but how often do people do things for such petty, minor reasons? I like that a lot –I like the humanness of it, even when it’s so banal. I think this works so well because it both makes it very real but it also is a nice contrast from so many other books where the scale and stakes are always so high. Seriously you can have an interesting story without the entire world being in balance, or the city about to be eaten by sea serpents or something. I really like that, the closeness of it –but it still mattering because people were dying, people were hurting. It still matted without the spectre of apocalypse. I also really like Mallory and her friends interacting. They’re really good together, great fun – and lo a protagonist with friends, a protagonist with a social life, a protagonist with a life outside of work. I also admire how the author restrains themselves from using ALL THE THINGS. We’ve already established that there are many many shiny magical creatures in this world. And though we see a lot of them we see them briefly and the whole book isn’t swamped by a gazillion creatures and details. Instead we have a nice, slow, build as more and more of this world is introduced as and when it becomes relevant. And, just like not needing to use epic events to keep the story interesting, it equally doesn’t need to use every creature and power to make the world interesting. Here we do have the introduction of E, an old friend/family member of Jakob’s which makes things even worse. Because now we have this shallow relationship with extra jealousy – which keeps happening over and over again even when it’s long since clear that there’s no reason to feel that way. I also wish we’d explore more of brutal vampire society and how Mallory feels about that. Instead we have a kind of studied denial – she’s not going to look too hard at the bad stuff in case, well, she seems to deliberately avoid the whole thing. This book has a mix of approaching diversity and prejudice. Witches are shown to be facing prejudiced which has issues with the supernatural being conflated with real world prejudice (remember, actual real world prejudice would be vastly different if marginalised people could throw fire around) but at the same time addressing real world prejudice, not just the overt and the vicious but also the banal and daily macroaggression POC often face to conflating of different ethnicities. That’s two books of clueless awful – please stop writing LGBT characters now. It’s always sadder when you have a series that could be awesome with a major, glaring hole in the middle that makes it hard to read without cringing.